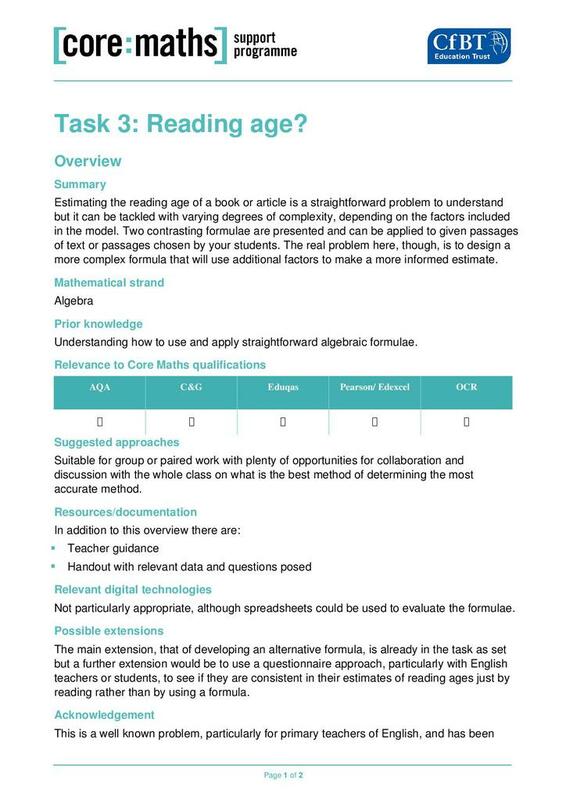 In this activity students tackle the problem of assigning a level of difficulty of various texts and books. The reading age is about the level of difficulty of text rather than the reading competence of the reader. The resource comprises an overview, teacher guidance and a student handout. Reading Age Overview provides a brief explanation of the problem and solution. It suggests that there are possible cross curricular links with English departments and that this could provide further extension ideas. 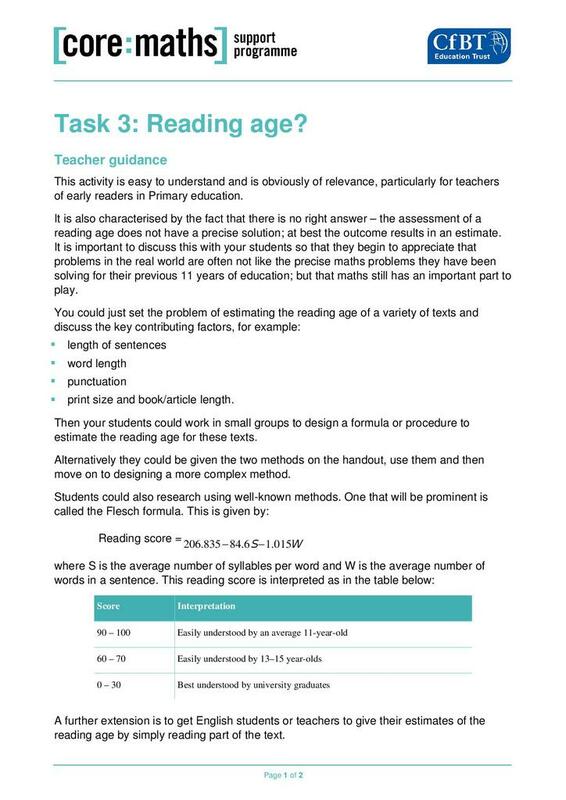 Reading Age Guidance starts by pointing out that there is no absolute measure of the readability of any particular text. It explains that there are many different ways of making an assessment and that they may produce differing results. It suggests different ways of working with students on this task. A further example of a reading index is explained. Reading Age Handout: This student handout starts by setting the context of the problem. 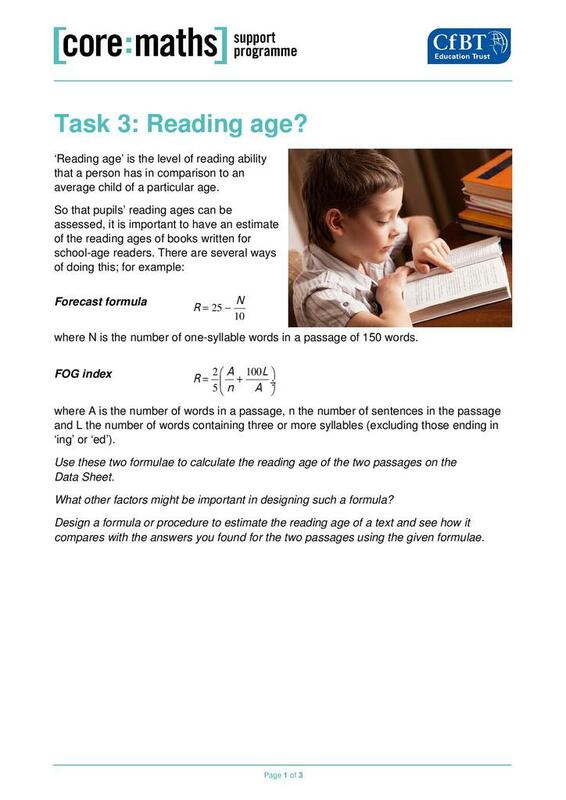 Students are given two texts which have to be assessed for readability using two different methods; the Forecast formula and the FOG index. They are also asked to consider other factors which may affect the readability of text and devise their own model. Students are then asked to research other tests for readability.